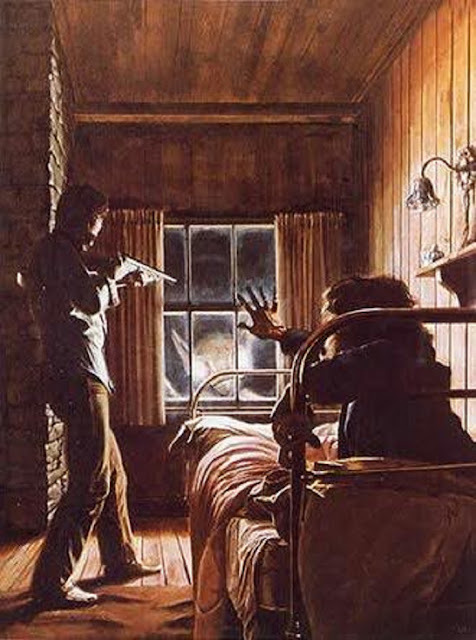 The Kelly–Hopkinsville encounter (a.k.a. 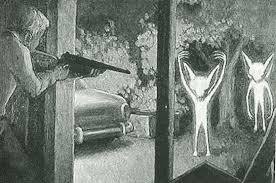 Hopkinsville Goblins Case, Kelly Green Men Case) was a claimed close encounter with extraterrestrial beings in 1955 near Kelly and Hopkinsville in Christian County, Kentucky. On the evening of August 21, 1955, five adults and seven children arrived at the Hopkinsville police station claiming that small alien creatures from a spaceship were attacking their farmhouse and they had been holding them off with gunfire "for nearly four hours". 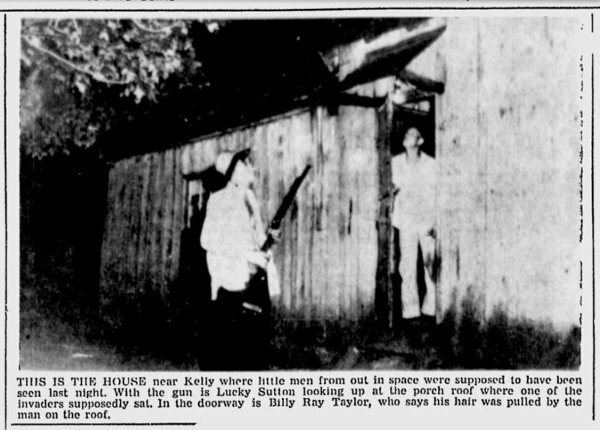 Two of the adults, Elmer Sutton and Billy Ray Taylor, claimed they had been shooting at "twelve to fifteen" short, dark figures who repeatedly popped up at the doorway and peered into the windows. Concerned about a possible gun battle between local citizens, four city police, five state troopers, three deputy sheriffs, and four military police from the nearby US Army Fort Campbell drove to the Sutton farmhouse located near the town of Kelly in Christian County. Their search yielded nothing apart from evidence of gunfire and holes in window and door screens made by firearms. The family's claims received widespread coverage in local and national press. Early articles did not refer to "little green men", the colour was later added to some newspaper stories. Estimates of the size of the alleged creatures varied from two feet to four feet, and details such as "large pointed ears, clawlike hands, eyes that glowed yellow and spindly legs" later appeared in various media. Psychologists Rodney Schmaltz and Scott Lilienfeld cite the alleged incident as an example of pseudoscience and an "extraordinary claim" to help students develop critical thinking skills. The Hopkinsville entities have a decidedly earthly explanation. 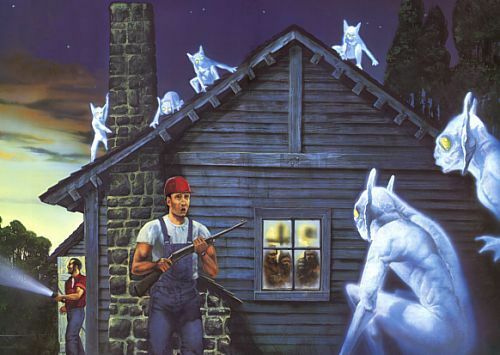 The "aliens" were in fact, Great Horned Owls, and the eyewitnesses were probably intoxicated during the "alien attack"
CSI member and skeptic Joe Nickell notes that the family could have misidentified "eagle owls" or great horned owls, which are nocturnal, fly silently, have yellow eyes, and aggressively defend their nests. According to Nickell, meteor sightings also occurred at the time that could explain Billy Ray Taylor's claim that he saw "a bright light streak across the sky and disappear beyond a tree line some distance from the house". According to author Brian Dunning, "there are simply too many similarities between the creatures reported by the families and an aggressive pair of the local Great Horned Owls, which do stand about 2/3 of a meter tall". 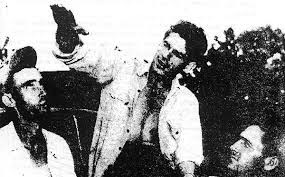 UFOlogist Jerome Clark writes that the supposed creatures "floated" through the trees and the sound of bullets striking them "resembled bullets striking a metal bucket". Clark describes "an odd luminous patch along a fence where one of the beings had been shot, and, in the woods beyond, a green light whose source could not be determined", however this description was consistent with foxfire, a bioluminescent fungus on decaying wood. Clark also wrote that investigations by "police, Air Force officers from nearby Fort Campbell, and civilian ufologists found no evidence of a hoax", however Brian Dunning reports that "the claim that Air Force investigators showed up the next day at Mrs. Lankford's house has been published a number of times by later authors, but I could find no corroborating evidence of this." Dunning also observes that "the four military police who accompanied the police officers on the night of the event were from an Army base, not an Air Force base." 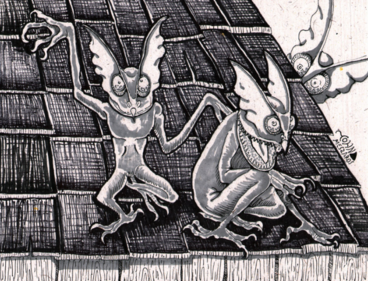 Some UFOlogists compared the alleged creatures to gremlins, which have since often been referred to as the "Hopkinsville Goblins" in popular culture. UFOlogist Allan Hendry wrote "this case is distinguished by its duration and also by the number of witnesses involved." Project Blue Book listed the case as a hoax with no further comment. The Kelly Community now celebrates the anniversary of the event on the third weekend of every August with an event called the Kelly "Little Green Men" Days. According to the book "Comedy-Horror Films: A Chronological History, 1914–2008" by Bruce G. Hallenbeck, the 1986 movie "Critters" is loosely based on the Kelly-Hopkinsville case. This story draws a lot of understandable criticism and skepticism but it's a tale that I enjoy nonetheless, it's also had an influence on many movies. Raz's Midnight Macabre 6 Year Anniversary!